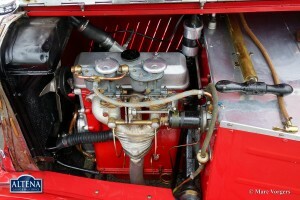 capacity:35 bhp. at 4500 rpm. Singer Nine Sports, year 1933. Chassis number 49516. 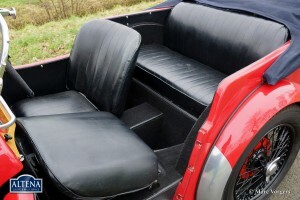 Colour red with a black interior and a black canvas hood. 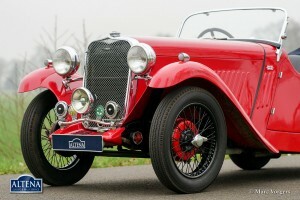 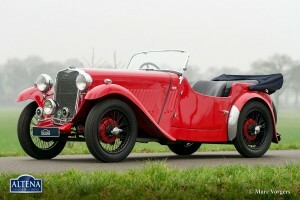 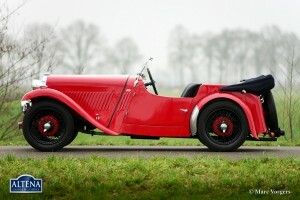 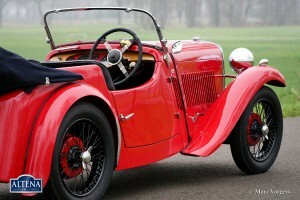 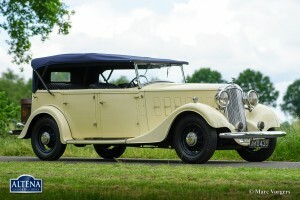 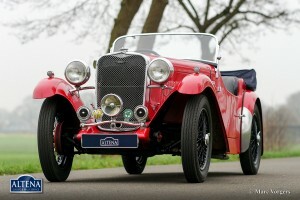 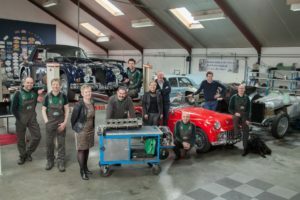 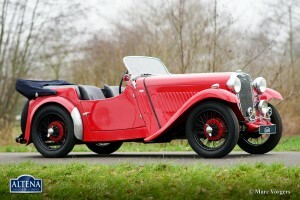 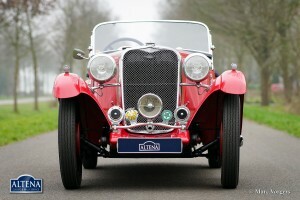 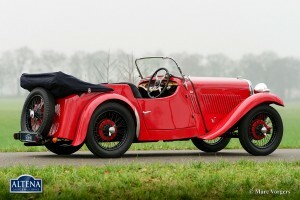 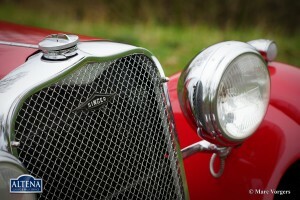 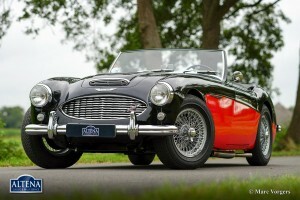 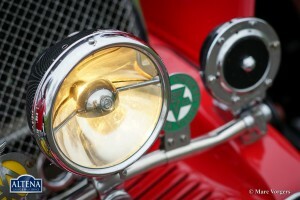 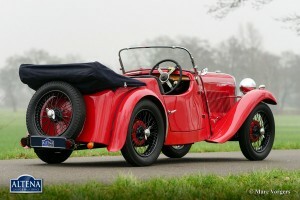 This beautiful and rare Singer Sports is in very good condition and the car shows off many fantastic original details. 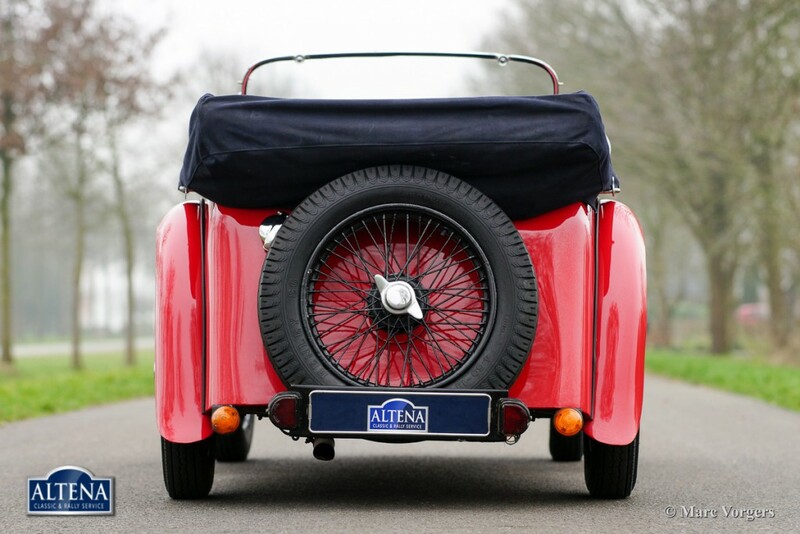 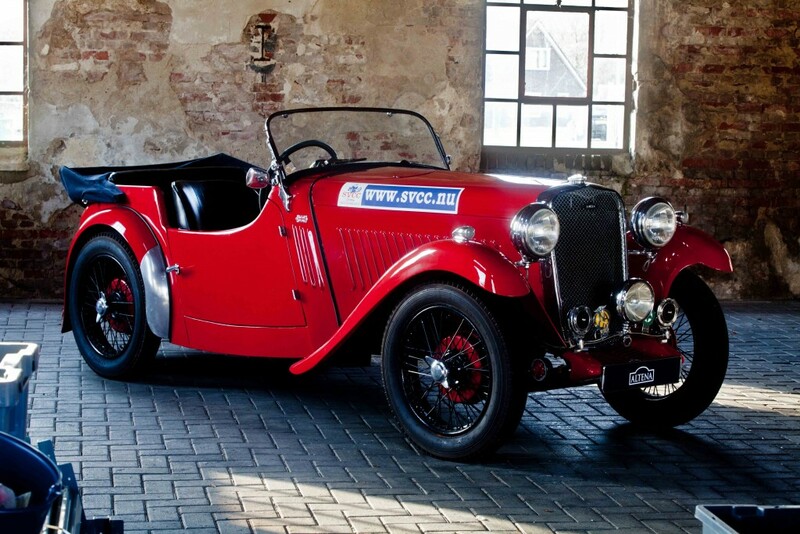 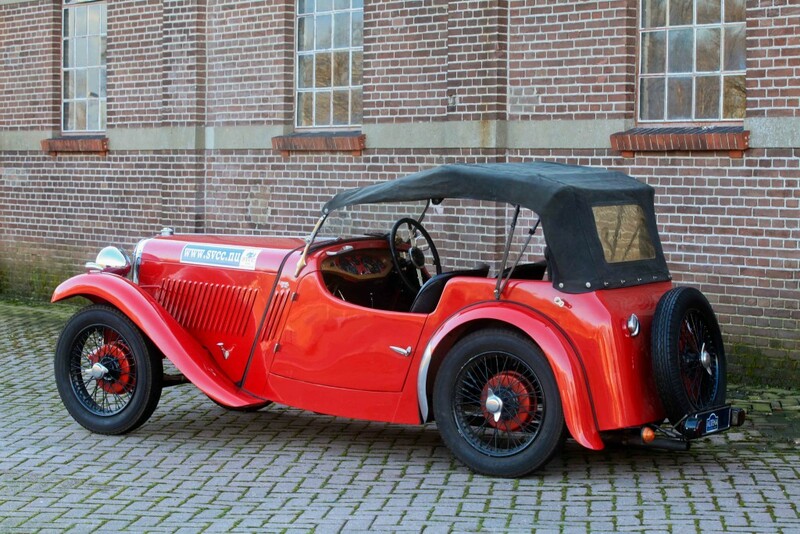 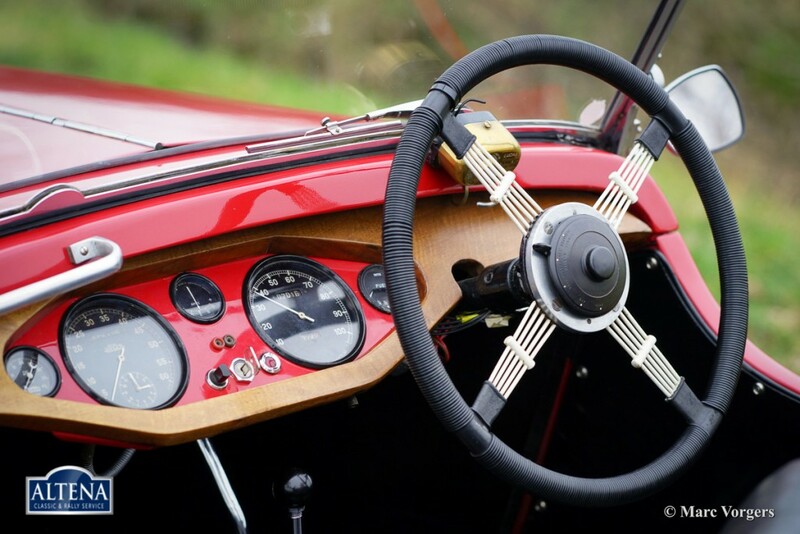 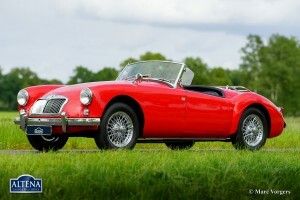 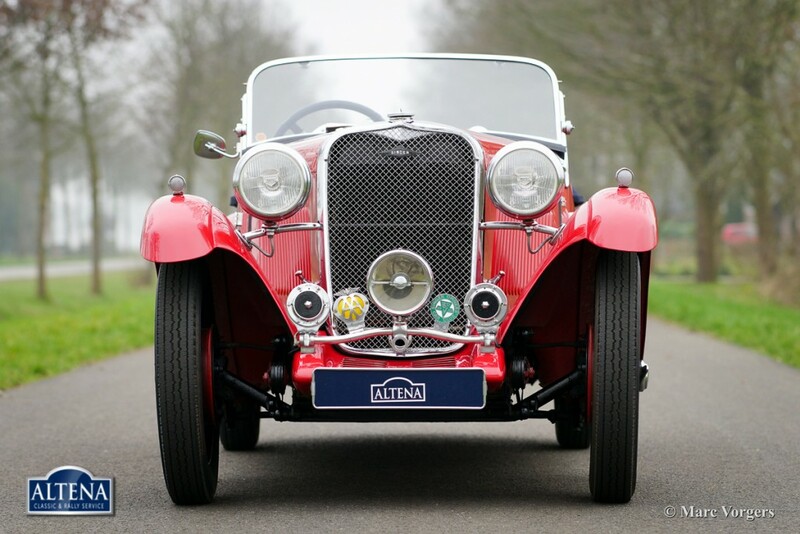 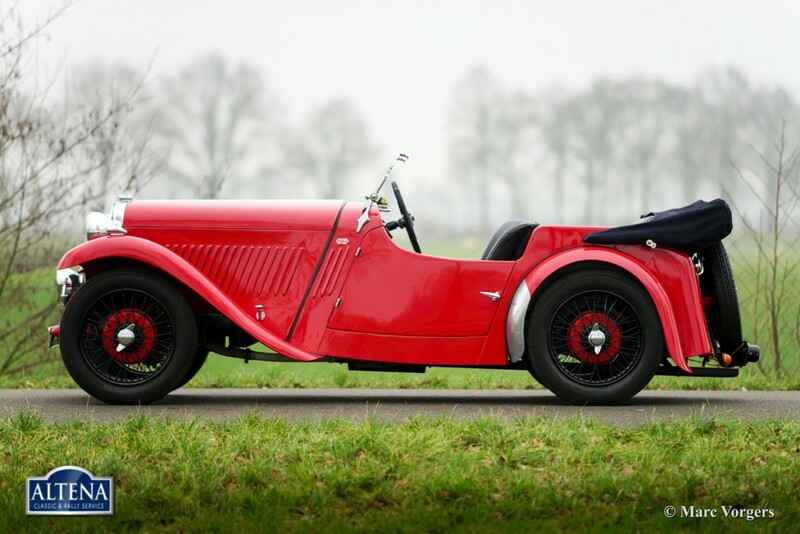 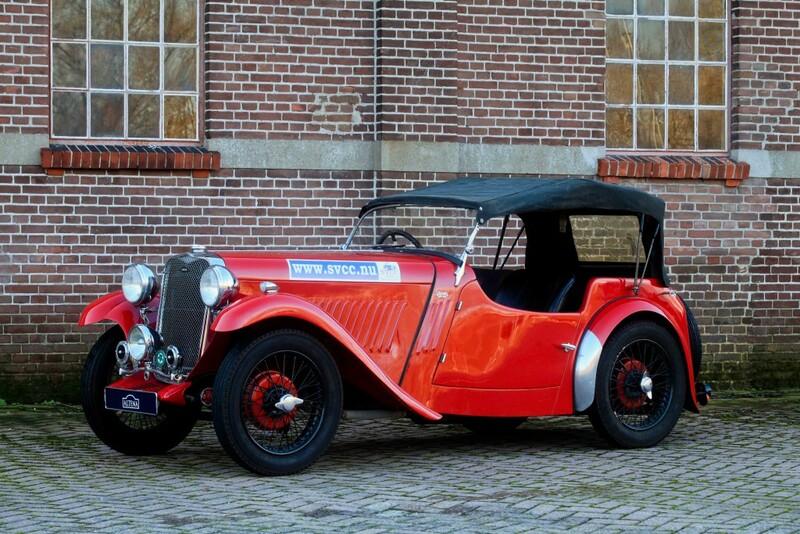 This singer Nine Sports features a four seater tourer body with beautiful flowing lines. 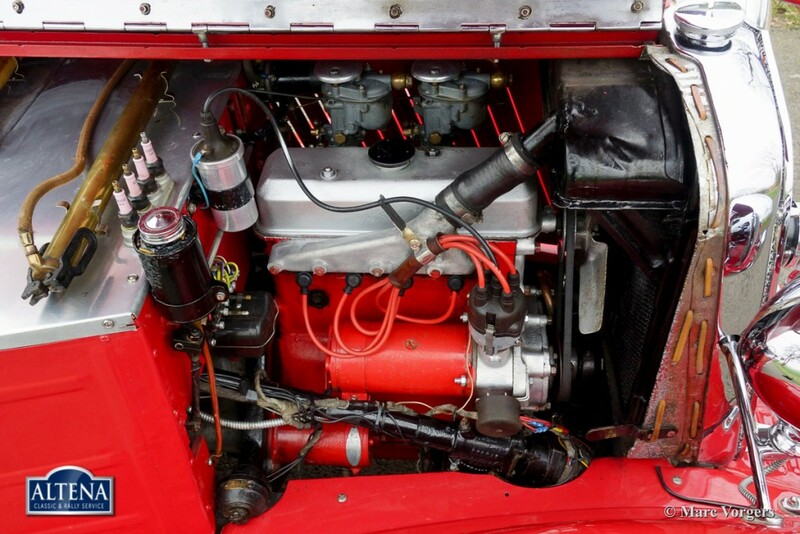 The four cylinder engine with overhead camshaft is a little jewel which was very much appreciated by the sporty few in the 1930ies. 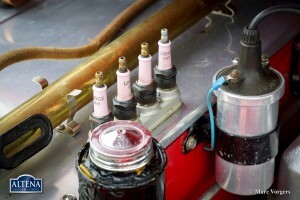 The Sports model sports a lowered chassis and twin carburettors. 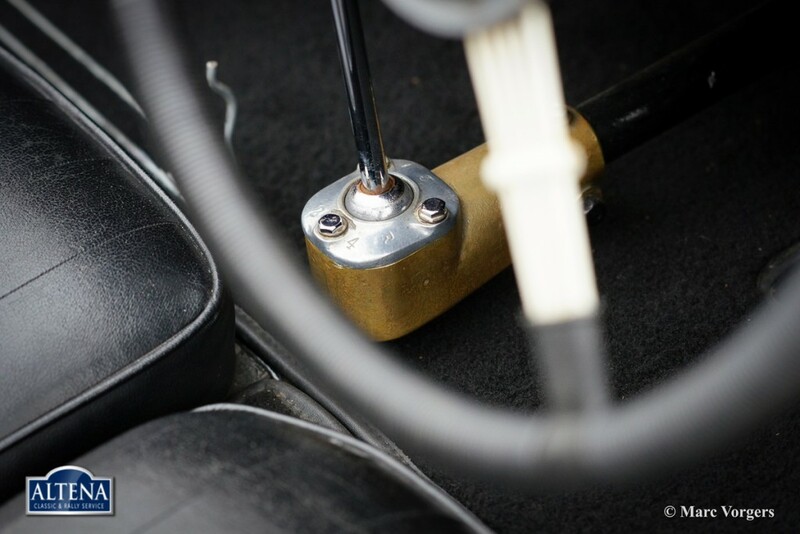 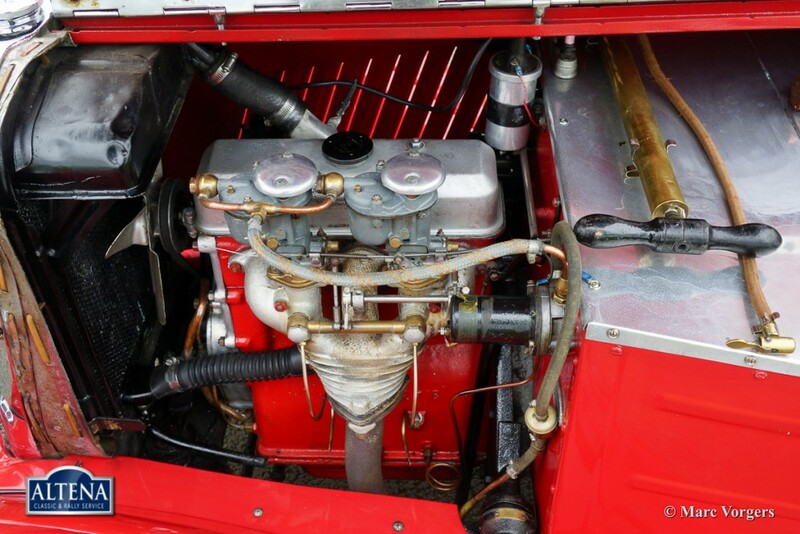 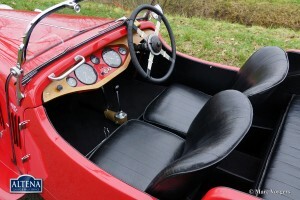 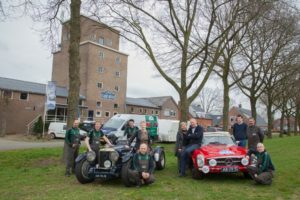 In the 1930ies the Singer Nine Sports already featured a four speed gearbox with ‘remote’ gearchange on the floor like we are used to today, and hydraulic brakes. 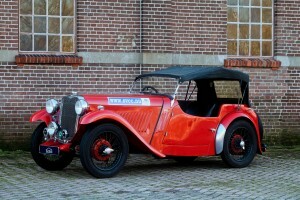 This is a delightful vintage automobile and a great proposition to enter in pre-war (rally) events.